A lease is basically a contract that’s formed in the event that one party wishes to make use of another’s property, land, or even services. However, before one party can make use of another’s property, that person must sign a formal agreement that allows him or her to do so. 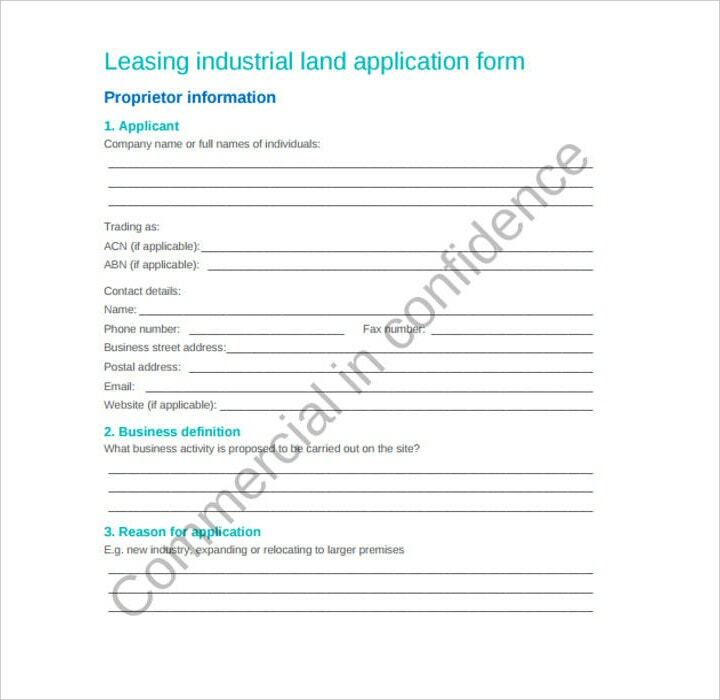 This is the reason why there are lease application forms. 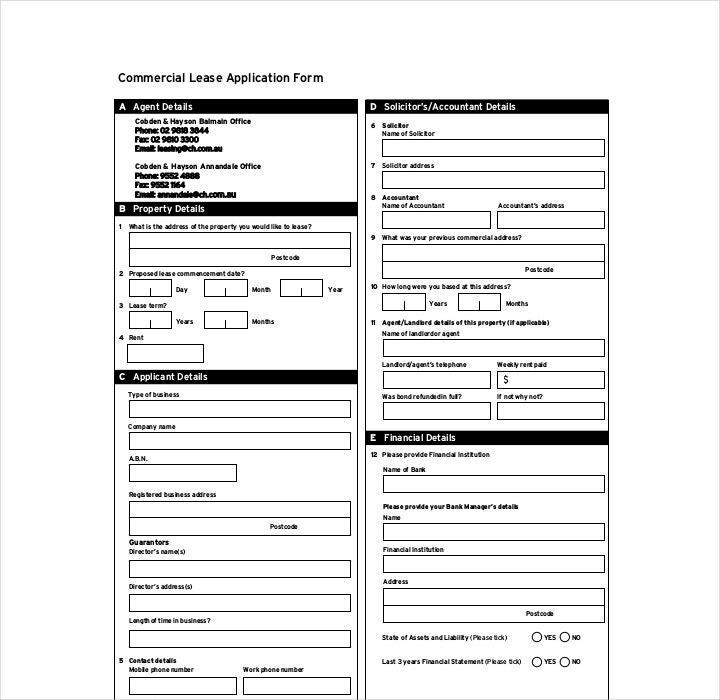 A lease application form, as its name suggests, is what one makes use of in the event that he or she wishes to apply for a lease. 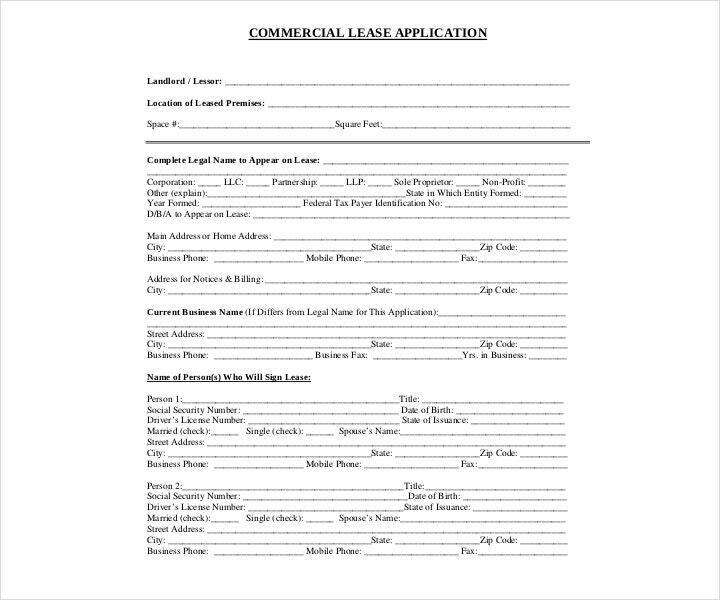 With the help of this lease, the lessee may know valuable information such as the name of the lease, the property or service that’s to be leased, the duration of the lease and much more. This is the type of form that a lot of people use. With a residential lease, people are able to make use of any residential property from rooms, apartments, or houses for rent. 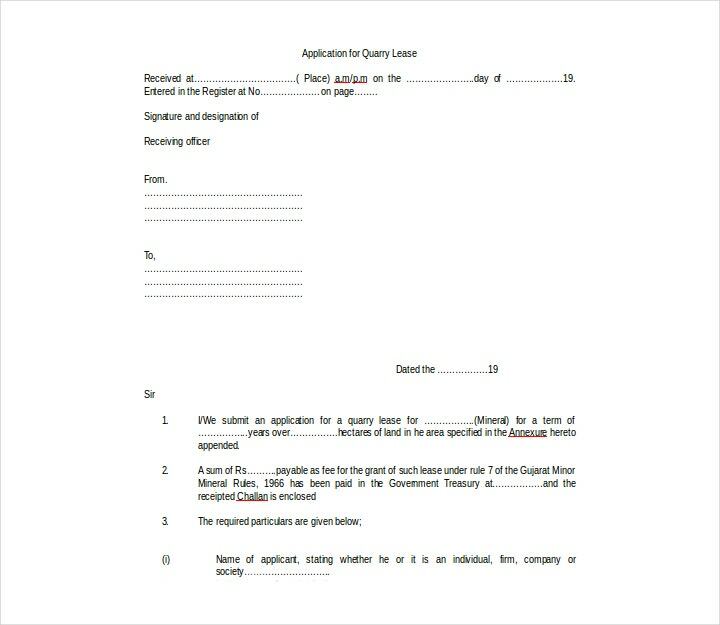 So when a person uses this document, he or she is able to apply for tenancy within these residential properties. The information that the landlord will have to go through once this form is submitted are things such as the name of the lessee, his or her employment information, social security number, name and contact details of the previous landlord, and much more. This information will allow the landlord to see whether or not the applicant is a viable candidate to take up residence in the property. 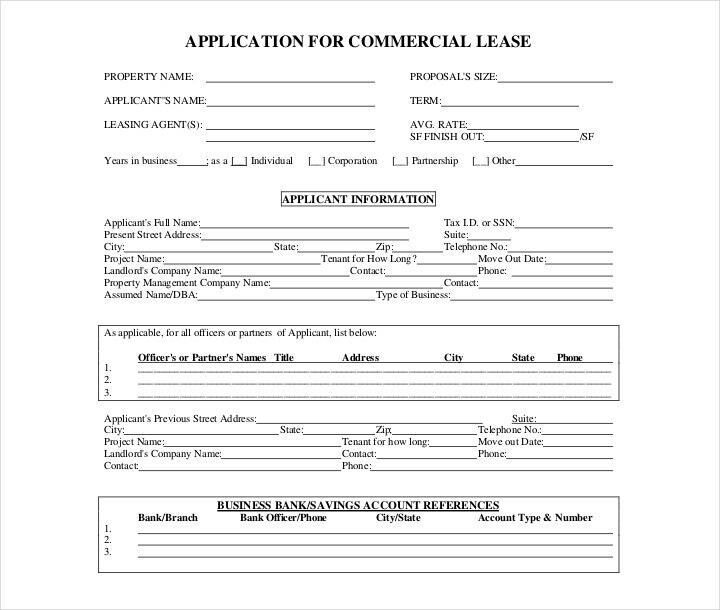 With this form, one is able to apply for a lease for any kind of commercial property. Commercial property is defined as any type of structure that generates income. So this includes establishments such as retail stores or apartment buildings. 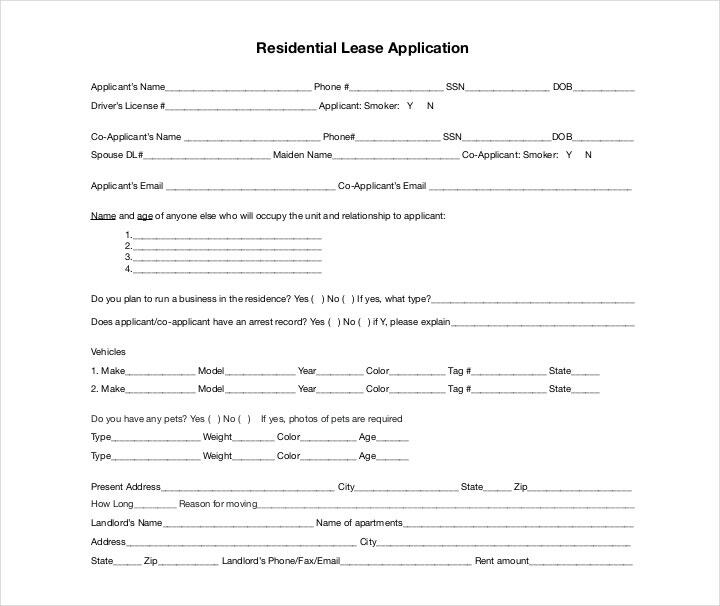 People that apply for this kind of lease have to give out all necessary personal information, the property that he or she wishes to lease, and the purpose as to why he or she would like to lease the property. 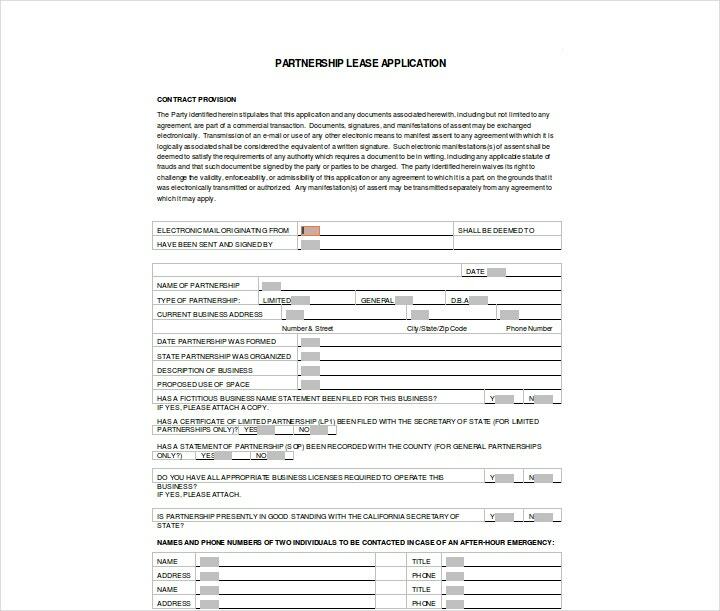 So long as there are no problems within the application, then the two parties may then sign a commercial lease agreement wherein they can discuss the terms and conditions regarding the usage of the commercial property and the consequences should any of the agreements be broken by either side. 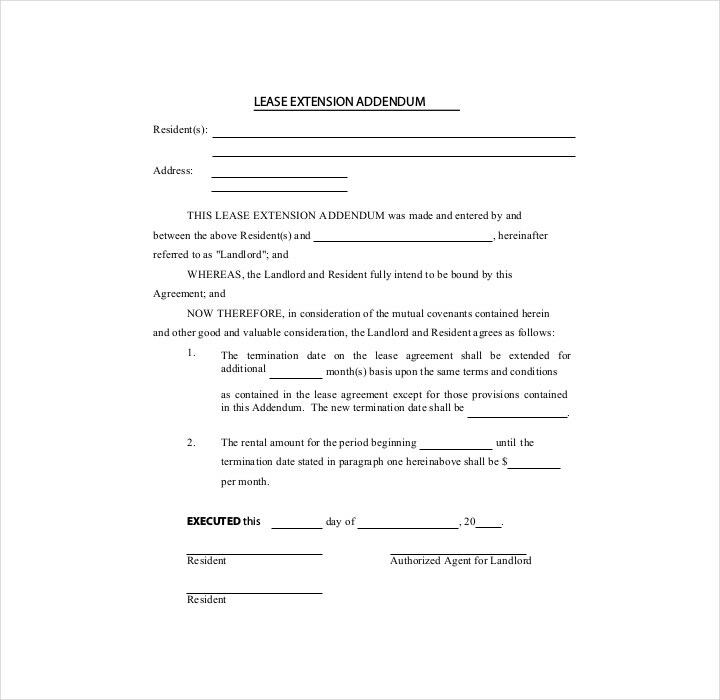 This kind of document is important for those people who are nearing the end of their lease contract. 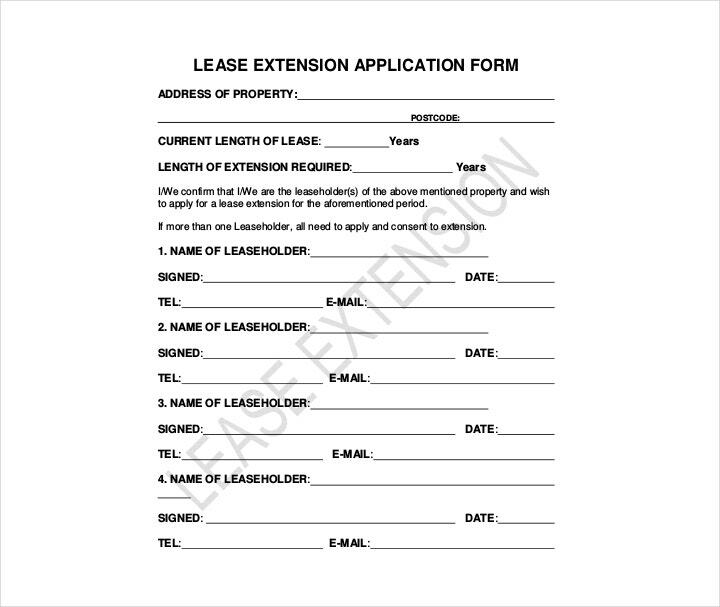 Before the duration of the lease is done, the lessee may use this form that allows him or her to apply for an extension of the lease, allowing that person more time and access to the property that’s being leased out. 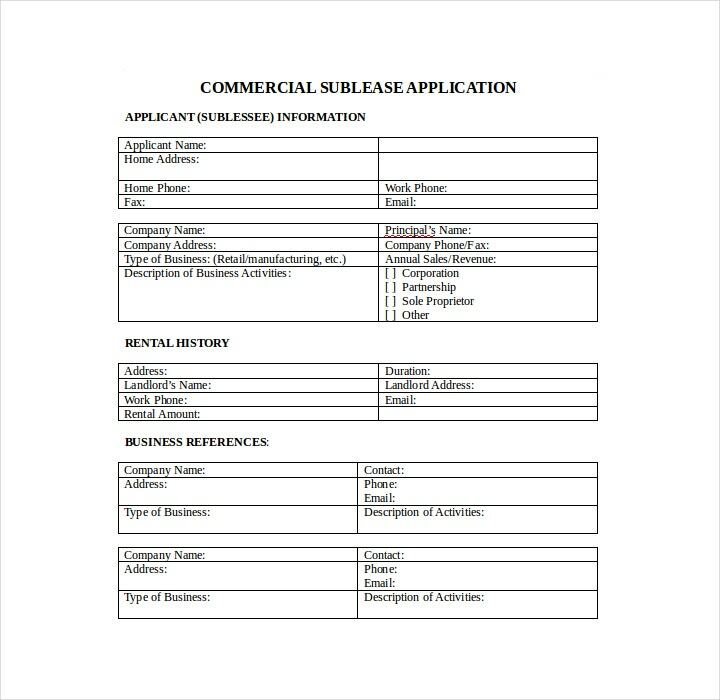 The information that the applicant will have to include in it is the address of the property, the current length of the lease, the length of extension required, the name of the lease, and the lease contact details. So long as the lessee has not incurred any violations and is up to date with the rent payments, then there should be no problems with regard to being granted the lease extension. 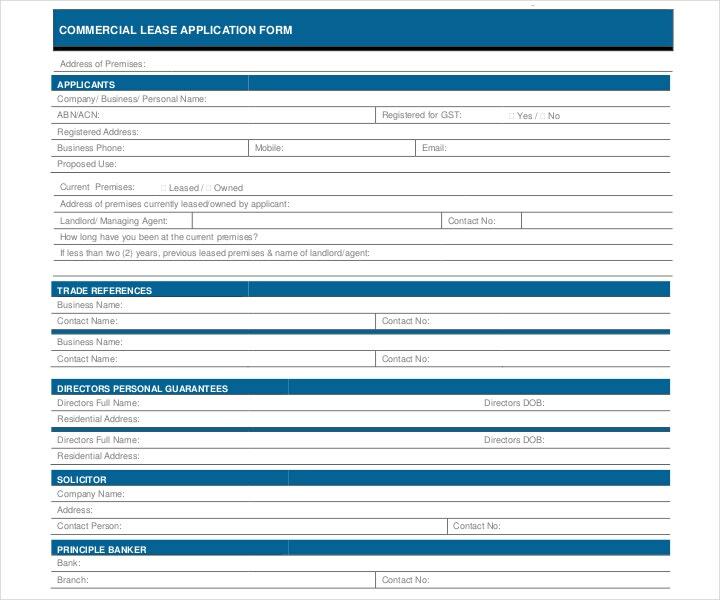 With an automobile or vehicle lease application form, one is able to rent a vehicle that he or she can use for specific purposes. 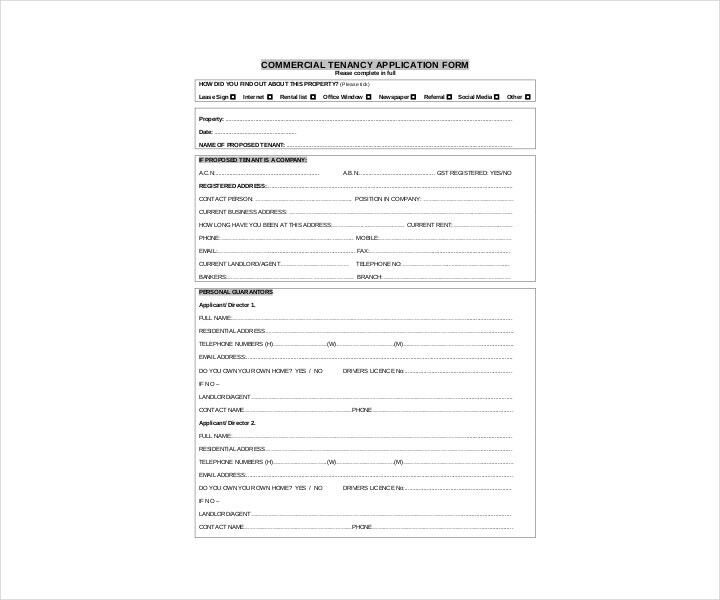 This person must fill up the document with details regarding his or her personal information, along with any required documents such as that person’s copy of his or her driver’s license. 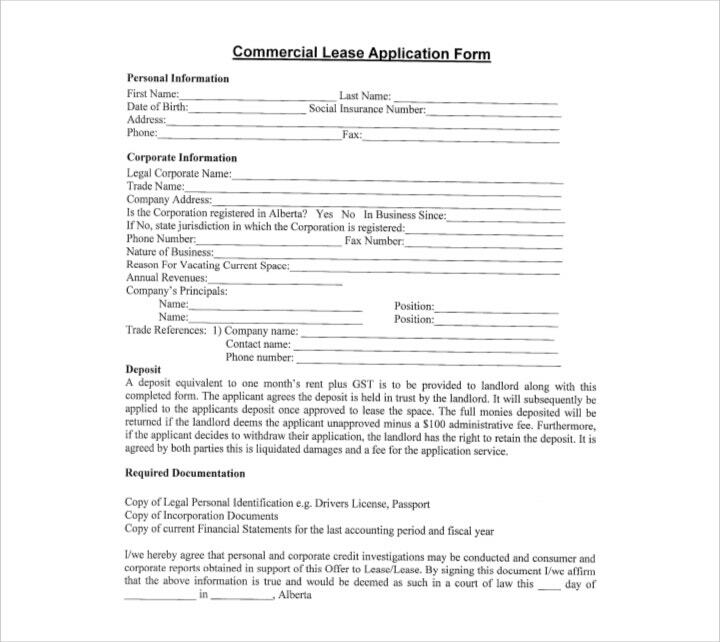 The details of the vehicle that’s to be leased are then included in this document. The automobile dealer may then go over the form and see whether the applicant has a steady enough income to make the payments that are necessary for him or her to use the vehicle. If you’re going to apply for a lease for an apartment or any kind of residential property, then you’re going to have to make sure that you have a good credit score. Your credit score basically represents your risk as a buyer. When your credit score is a high number, it shows landlords that you’re the type of person who is responsible when it comes to paying bills, and lenders are more willing to let you borrow money. 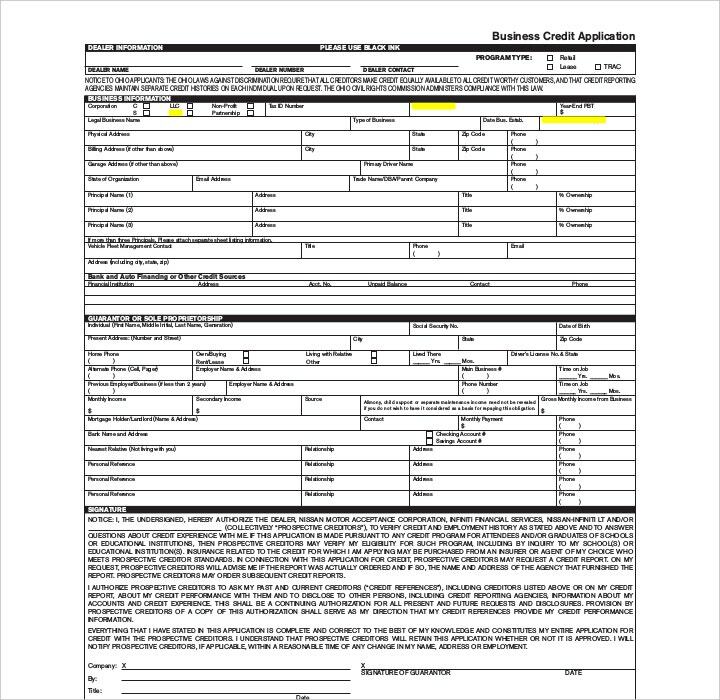 Applicants with bad credit are least likely to be able to obtain a lease. In the event that someone with a very low credit score does get approved for a lease, the amount of deposit money that the person has to pay is much higher than average as landlords are afraid that the lessee might cause property damage or even break the lease. So remember to maintain a good credit score so that when a landlord views your credit report on your application, you’ll most likely be his or her first choice. Make sure that you have all of the necessary documentation. The real estate agent that you’re dealing with should provide you with a list of all the documents that you’re required to submit. It doesn’t hurt to be prepared ahead of time so it’s best that you make copies of your references, the filled-out lease application form, proof of employment, cover letter, and photo ID. Once you’ve made copies of all of these, you’ll need to submit this to the agent as soon as possible. 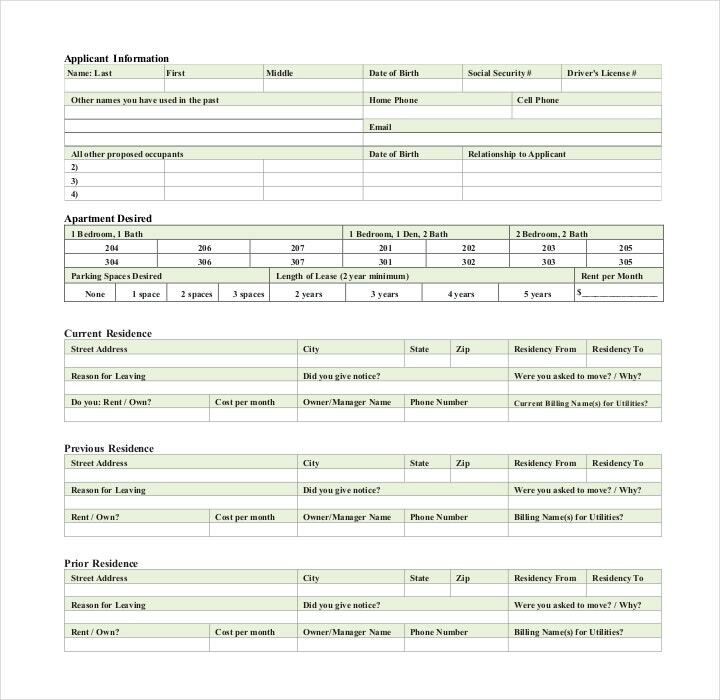 If you’re going to have roommates or housemates, then be sure that they’re just as ready as you are.While it may not be required that your future house or roommates attend the property inspection, you’ll want to get their completed basic application forms and references. Make sure that they have all of the necessary documentation to get you a better shot at being on the top of the list of candidates. 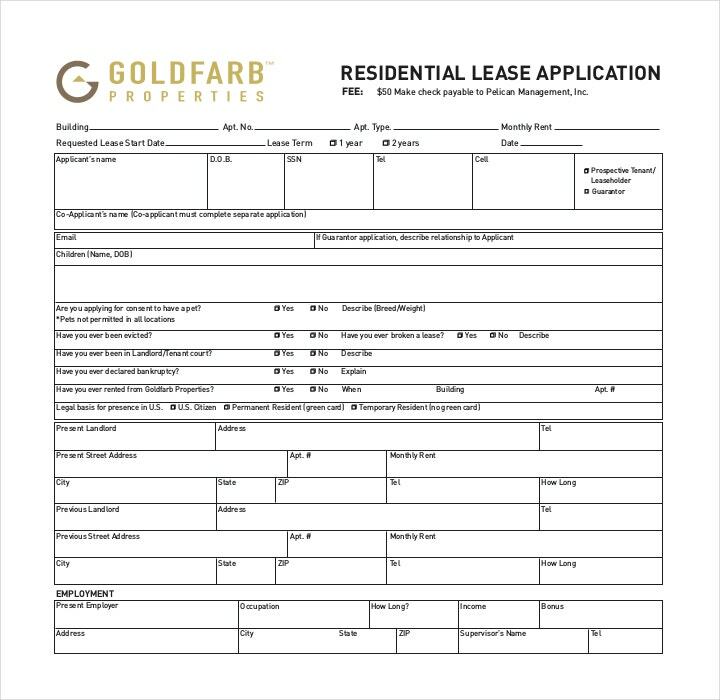 Be on time with just about everything when it comes to the lease application. 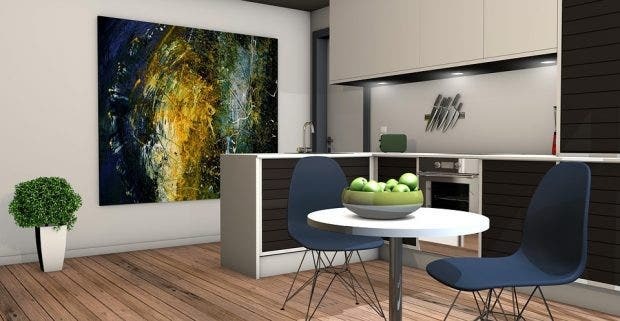 Not only will this show how professionally you handle things, but it will also show the landlords or real estate agents that you’re the type that’s eager to acquire the property and may just consider you first in line. Make sure that there are no problems with your application. Before you submit the necessary documents, go through all of them to see if there are any errors that you’re going to have to fix. Because even something as small as having one letter in your name wrong can create a problem. Once you’ve gone through everything, you must then submit the documents to either the landlord or real estate agent that you’re dealing with. Although it’s fine to have any additional documents that you might think you need, just remember to only submit what’s being asked of you. On the day of the property inspection, be sure that you’re reasonable and pleasant. You’re at a much bigger advantage if you’re the only person applying to live in the property as you’re given a bit more freedom to ask for property repair or a reduction on the rent. Just make sure that you’re not up against a lot of other people as that will put you in a position where it would be difficult to bargain or demand. Just be pleasant and reasonable and you might just be the first choice. If you haven’t gotten any word about your application after around 48 hours, then you’ll need to do a follow-up. Just let the receiver know that you are very interested in the property and that you’re willing to provide any other information that he or she needs. One reason as to why you haven’t heard from this person may be because he or she might be deciding between you and another applicant. If you send this person a pleasant message, then it might just place you on top. You’ll have to state information such as your complete name as the owner, your property and mailing address. Then you will have to provide the tenant’s legal name, along with the names of any roommates or family members. If the tenant does have roommates, then you should limit the occupancy only to those individuals. What this basically does is forbid anyone that’s not listed on the lease to live on the property. You’ll need to set up the tenancy terms. 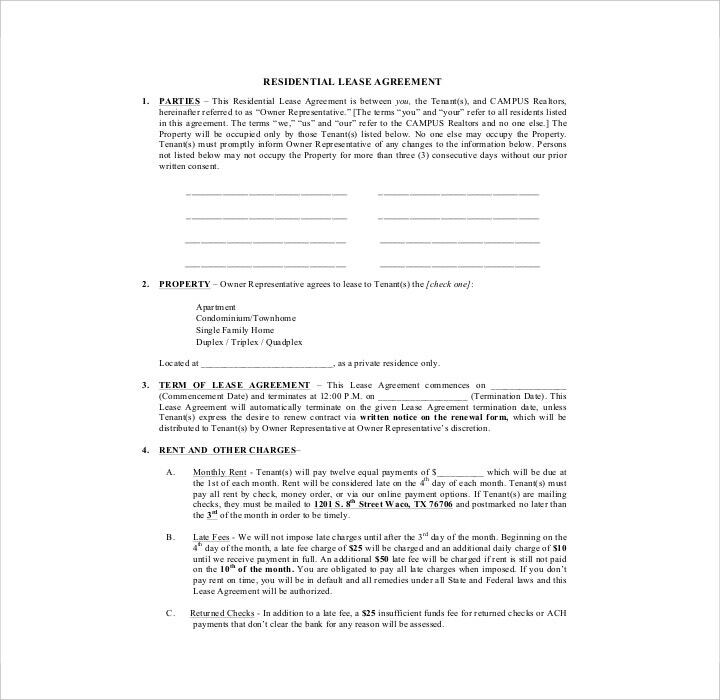 Tenancy terms state the duration of the lease contract between you and the tenant. 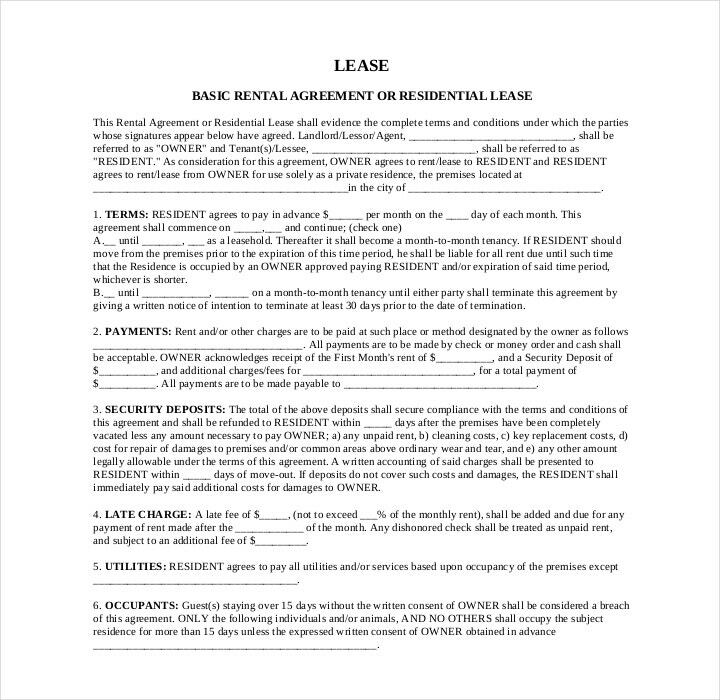 A lease typically involves twelve months. Rental agreements don’t require more than a thirty-day notice to vacate while leases require at least sixty days’ notice unless there’s a good reason. This usually refers to the rules or laws that the tenant breaks, which would warrant an eviction. Information regarding the rent must be defined in the lease. What you’re going to have to write is the amount of rent to be paid, the date that the rent is due, and the types of late fees that exist. The next thing you’ll have to do is to include the acceptable method of payment. The payment method that you allow the tenant to use could either be in the form of cash, money order, or even in check. If the method is through check, then you’ll have to state fees for any returned checks. Specify the amount of security deposit that the tenant will have to shell out and what it will be used for. A security deposit is basically what will help you in the event that you’re going to have to repair any property damage incurred by the tenant, or move-out and cleaning tasks once the tenant vacates the property. Place in the restrictions that should allow the tenant to understand what he or she is not allowed to do. Let’s say that you allow the tenant to bring a pet into your property, but then you limit the number of pets, the size of the pet, and its type. You should include a general statement where a tenant is required to follow the laws of your property. Make sure that the tenant knows that if he or she violates the rules or if the tenant is too much of a nuisance to others, then he or she may be evicted. State the conditions in which the tenant may cancel the lease before the contract term expires. 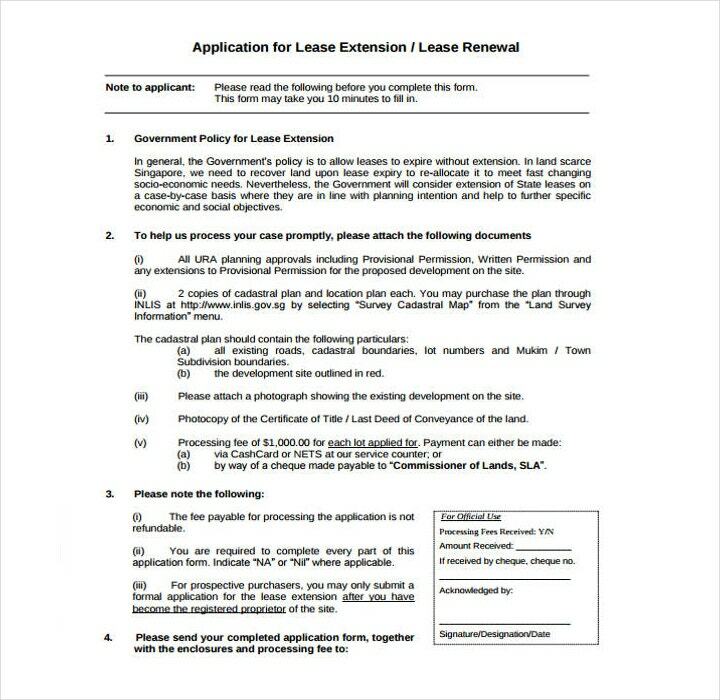 You should list any penalties or fees that the tenant will acquire should he or she terminate the lease early. You should also place the remedies that will help solve disputes such as arbitration or meditation. Once this has all been settled, the next thing to do would be for all the parties to sign and date the lease. 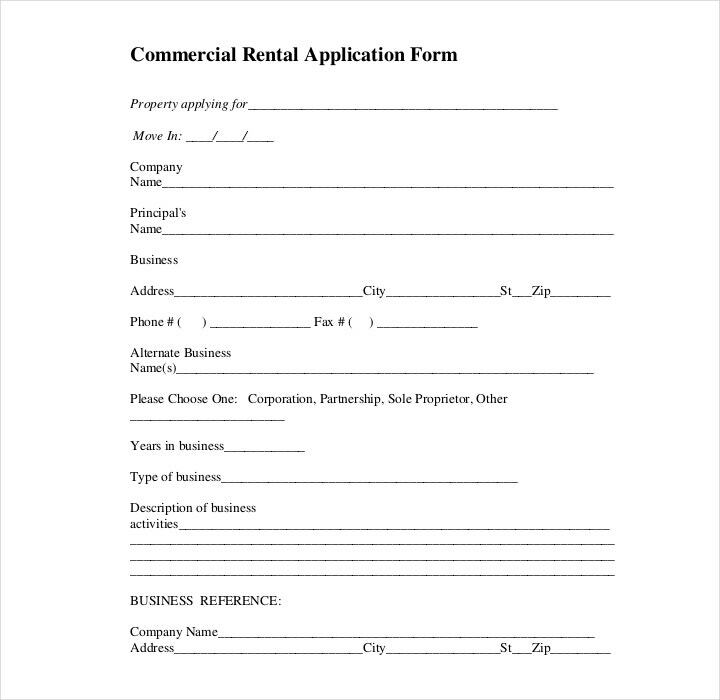 Provide the copy to the tenant and keep the original in the event that you might require certain information within the document for future situations such as a lawsuit. Poor credit. As mentioned before, a lot of property owners will go through your credit score to see your ability to keep up with payments. If you have a really low score, then don’t expect to be the first choice. Just make sure that your credit score is high by keeping up with your payments and that you have no issues such as large amounts of debt. Providing false information. This is the reason why a lot of landlords do proper background checks and reports. Let’s say that you’ve stated the amount of your current salary in your application. The landlord then goes through the information and contacts your employer to verify it. Your employer then gives the information about your actual salary and the landlord learns it’s different from what you’ve stated in your application. The landlord then has every right to deny your application. Any falsified information could lead to future problems which pretty much every landlord would usually want to avoid. Negative rental history. If the previous property you’ve resided in has a landlord, then you’ll need to place that information on your application. Landlords will almost always contact your previous landlord to help him or her get a better understanding of the type of tenant you are. If the landlord finds out that in your previous lease, you were delinquent in making payments and you caused problems such as noise complaints or property damage, then the landlord can deny your application. This is so they can prevent themselves from gaining any unruly tenants because having unruly tenants will make it that much harder to keep the property secure. Inadequate income. As already mentioned, the landlord won’t accept your application if you can’t even meet the necessary amount that you have to pay for monthly rent. This is why they have to contact your employer to validate your actual income. If you get denied, then it’s best that you find other areas that can provide you with what you need with a lower price that you can afford. Firstly, you’ll want the tenant to complete a lease application. 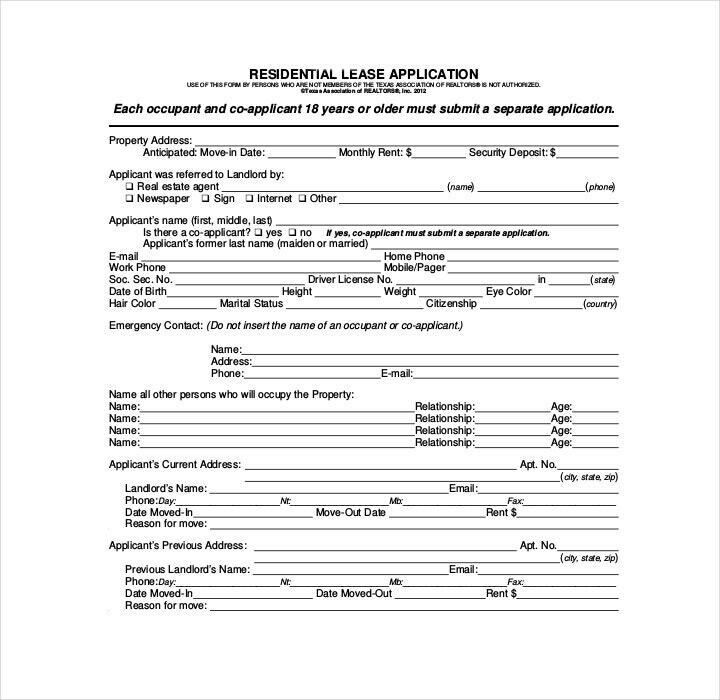 You can get any lease application form template online or even from your local real estate association. 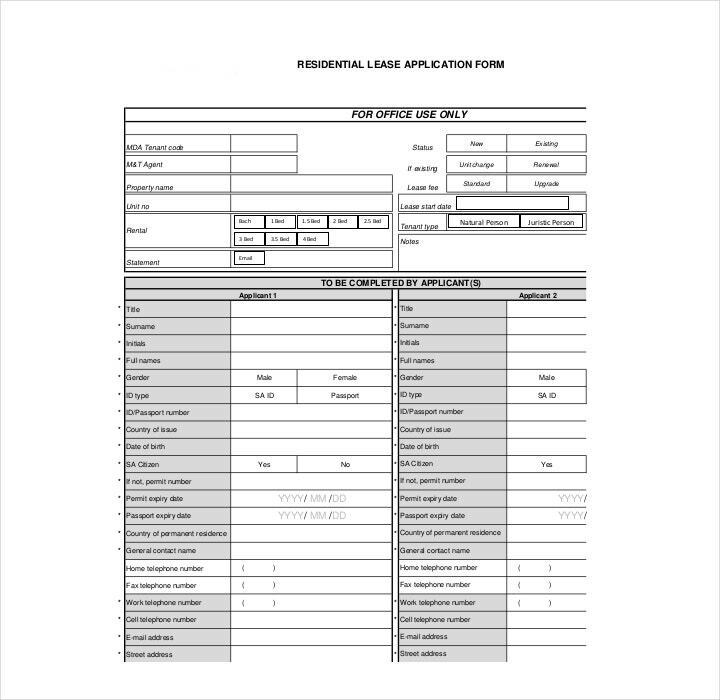 The form will give you all of the information that will allow you to do a proper background check and to help you see whether or not the applicant is someone that’s fit to be a good tenant. 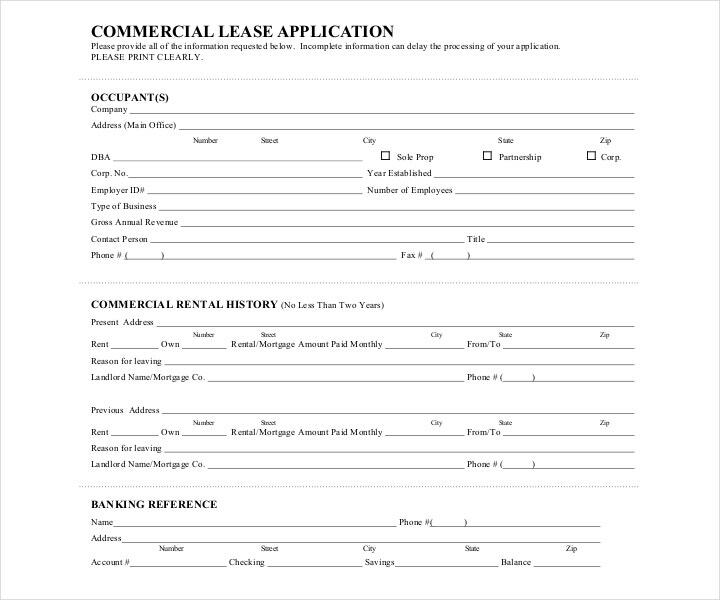 The lease application form should ask for information such as the applicant’s complete personal information, social security number, previous address, current income, banking and credit references and anything else that you’ll require. 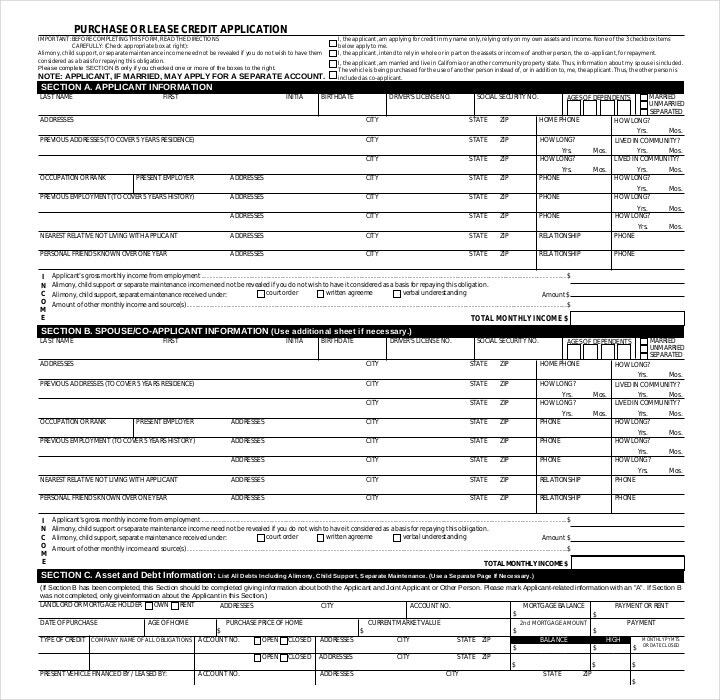 Request that these applicants fill out a credit report authorization form. As a landlord, you will be required to ask the applicant for their consent to perform a credit check. In order for you to comply with the Fair Credit Reporting Act (FRCA), you will need to have a complete credit report authorization before you can obtain an applicant’s credit report. In the event that the applicant refuses to sign the credit report authorization, then you also have the right to deny that person’s application. You will need to interview the applicant in person. 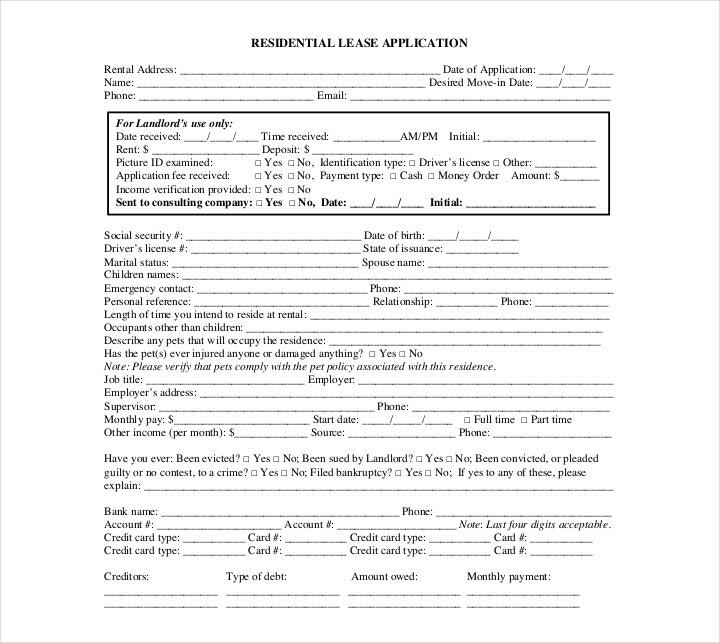 Doing an applicant interview is something that you’re going to have to do considering that this may be a person that you will be interacting with often if you decide to accept his or her application for the lease. You’ll want to make sure that this person is friendly and respectful and that he or she is someone that you’re comfortable with as a tenant. You can also ask questions during the interview such as reasons why the applicant moved from his previous place of residence, if the applicant has pets, if the applicant can pay the first month’s rent and security deposit before moving in, and any other questions that will help you know more about the applicant. Do a background check on the applicant from any verified tenant screening company. Although this may cost you a bit, it’s worth it to let you know whether or not the applicant is someone that won’t cause you any problems. 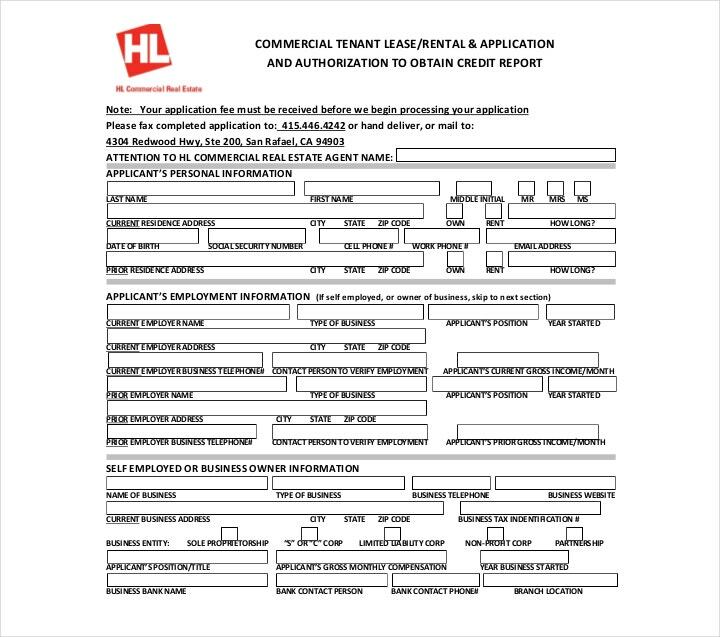 The background check will help you see if this is an applicant that you’ll want to avoid. So it could tell you if the applicant has had any previous criminal records or if the applicant has had a history of damaging property or has unpaid rent. As mentioned before, you’ll need to contact the applicant’s employer to help you verify information regarding his or her employment. Employment verification is vital as it will tell you if the applicant is still currently employed and it will also tell you about the applicant’s salary. Contact the applicant’s previous landlords. 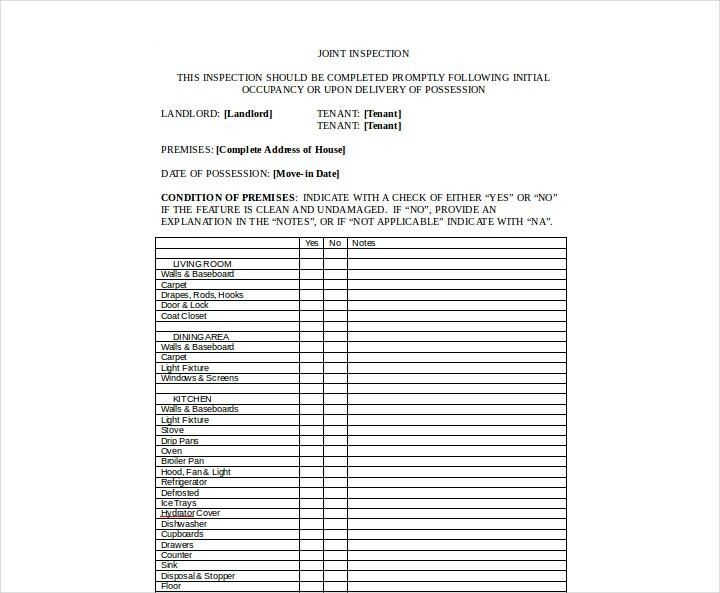 What this basically does is tell you what kind of tenant you’ll be acquiring if you decide to take this applicant as one of your residents. 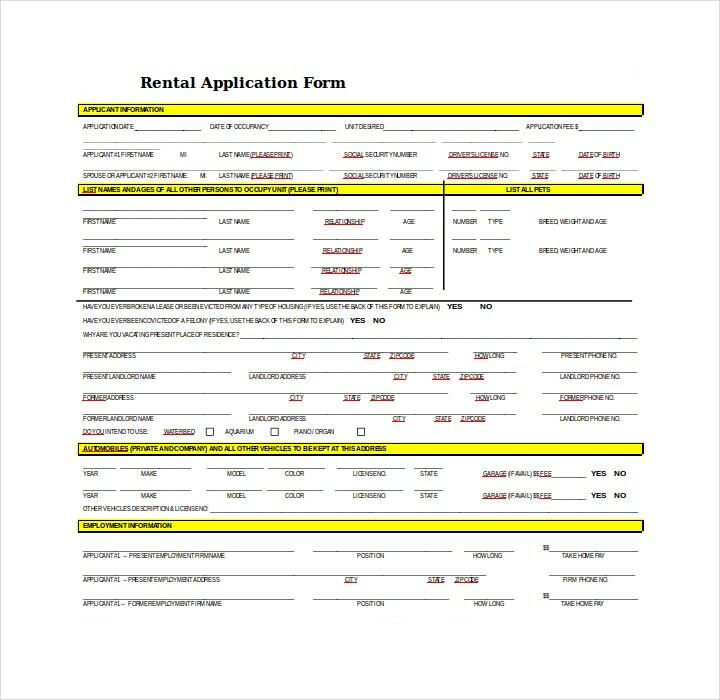 This will give you information on the applicant such as his or her ability to pay rent on time, if the applicant broke his or her lease agreement in any way, and if the applicant caused any property damage and more. Make sure to contact the applicant’s personal references. Although you’ll find out that any close friends or family members of the applicant will always have some sort of bias, they’ve also known the applicant for years and will tell you everything you need to know regarding the applicant’s personality, demeanor, and manner.